Before recommending oral appliance therapy, we need to determine what type of sleep apnea you’re suffering from. Oral appliances are typically only recommended for patients who have the more common obstructive sleep apnea. Central sleep apnea occurs when the brain fails to trigger the body to breathe in and out during sleep. Unfortunately, patients with this form of sleep apnea cannot typically be treated using oral appliances. Are You Struggling to Adjust to CPAP Treatment? 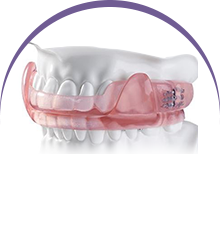 Patients who have difficulty getting used to the sounds and sensations associated with oral appliance therapy may benefit from the use of oral appliances as an alternative to or in combination with a CPAP system. Using both an oral appliance and a CPAP system allows patients to utilized lower, less invasive settings on their CPAP unit as well as a smaller facial mask, making it easier and more comfortable to receive CPAP treatment. Do You Snore Without a Sleep Apnea Diagnosis? If you experience loud, chronic snoring but are not suffering from sleep apnea, you may also benefit from treatment with oral appliances. These appliances can help reduce the volume of snoring and improve the quality of sleep for patients and their bed partners! 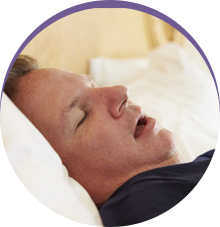 Even if you’re not suffering from sleep apnea, snoring may adversely impact your sleep, so it’s important to seek treatment as soon as possible. Skilled sleep dentist, Keane Fedosky, DDS, offers patients accurate sleep apnea diagnosis and treatment planning, using custom crafted oral appliances. 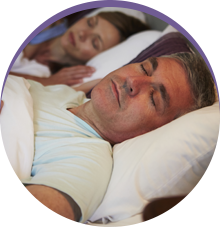 For many patients suffering from obstructive sleep apnea, oral appliance therapy is a comfortable, effective treatment option to improve the quantity and quality of sleep. If you want to learn more about dental sleep medicine, please don’t hesitate to contact Sleep Rehab of Garland. We look forward to helping you sleep and breathe deeply for years to come.